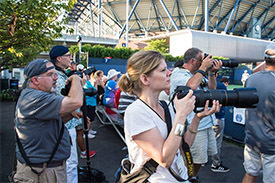 Have you ever wanted to photograph the pros on the biggest stage in U.S. tennis? 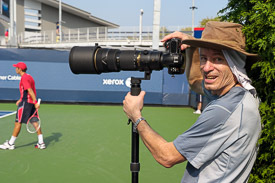 Now is your chance, all under the guidance of a 20-year veteran of tennis photography. 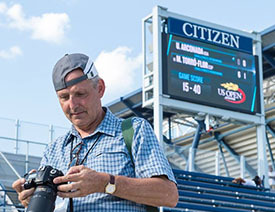 Chris Nicholson will lead a photographers' workshop during the 2018 US Open Qualifying rounds. 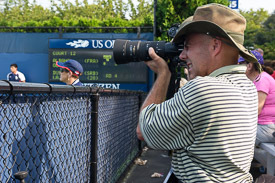 Work with Chris on the grounds of the biggest tennis tournament in the world, photographing world-class players vying for one of the few spots left in the main draw. 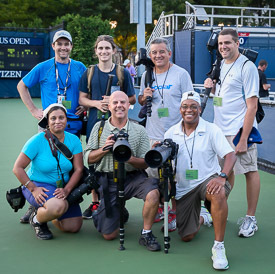 The workshop will include hands-on tips from Chris, lunch at the US Open food village, photographing court-side at the US Open (shooting in the best spots for varying light during the day), participation in a private online group for sharing photos afterward, a great time overall, and more. 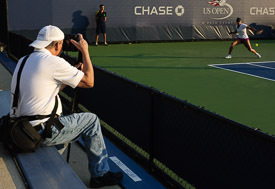 • Photograph actual live matches at the US Open Qualifying tournament. 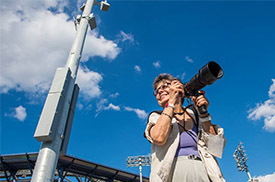 • Learn some of the "secret spots" for getting great action photos at the US Open. • We'll talk about and work on angles, timing, light, lens choice, capturing different types of action and important match moments, and more. 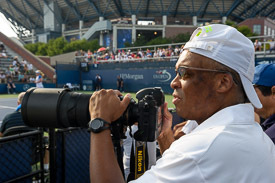 • Any questions related to tennis photography are welcome—anything you want to learn will be addressed. 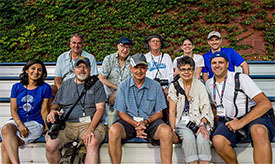 • Chris will guide the workshop participants to the best spots on the grounds to shoot at different times of day. Maximize the best light, and make great use of midday's "bad" light. Next day — Sharing photos on the group Facebook page! Availability is limited, so please reserve today!